Infrastructure at three key metro airports in India is proving to be a hindrance for new airlines. New entrants do not have slots to operate flights at these airports even as passenger traffic continues to grow in double-digits. The situation is worst in Mumbai, which has a single runway and is equipped to handle only up to 45 aircraft movements per hour. Though there are guidelines for allocation of landing and takeoff slots, Vistara is seeking an equitable method, especially in constrained airports. “A formula can be reached so that everyone gets a fair share. “New airlines need slots to grow or else there will be a duopoly or monopoly, which is not good for consumers. “Customers will also have an opportunity to experience new services, and fares are kept in check,” says Sanjiv Kapoor, chief strategy officer. Slots held by existing airlines are renewed if they are using 80 per cent of the capacity allotted to them. After the historical slots are renewed, 50 per cent of the remaining slots are allotted to new airlines. With incumbents cornering most of the existing capacity at the key metro airports, prime slots are not available to newer entrants like Vistara or AirAsia. For an airline to make money on any route, it isn't enough to have two or four flights a day. Most of the current capacity is soaked up by larger rivals, IndiGo and Jet Airways, Vistara is unlikely to get the kind of capacity it wants to scale operations at the key metro airports. Chennai, Delhi and Mumbai are Level-3 airports. According to the global definition, this is one ‘where capacity providers have not developed sufficient infrastructure, or where governments have imposed conditions that make it impossible to meet demand’. In these airports, a coordinator is appointed to allocate slots to airlines and other aircraft operators using or planning to use the airport. Airline experts believe that it is unfair to expect rationing of slots in an equitable way when incumbents hold existing capacity. The Centre for Asia Pacific Aviation India is of the view that airlines have limited visibility regarding the availability of slots, particularly at constrained airports. "There is no transparency in the process by which (slots) are allocated to carriers. “This makes it extremely challenging for airlines to conduct network and schedule planning (which in turn feeds into capital investment decisions on aircraft)," says a CAPA report. Airport capacity challenges are expected to impact the entire industry if corrective measures are not taken soon, says Kapoor. "We would like to see capacity at key airports grow and new technologies deployed so that airports can handle more flights, have aircraft landing or taking off every 30 seconds. “We also need to address other choke points, such as parking bays and check-in counters," he adds. 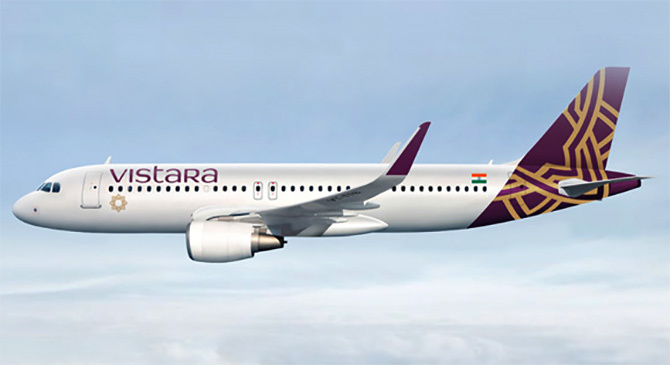 Is premium becoming a problem for Vistara?